Consultation pour les Actionnaires de la Compagnie des Indes. 4to., with a woodcut impression of the arms of the French East India Company on title-page, 103 + (1) + 24pp., with a large folding table, well bound fairly recently in marbled boards with morocco spine label lettered in gilt, uncut. A fine, large, copy.Publisher: Paris, Lottin & Lottin.Year: 1788Edition: First edition. Lettre au peuple ou projet d'une caisse patriotique. Vienne et Paris, Marchands de nouveautés, 1788. ____ Edition originale. 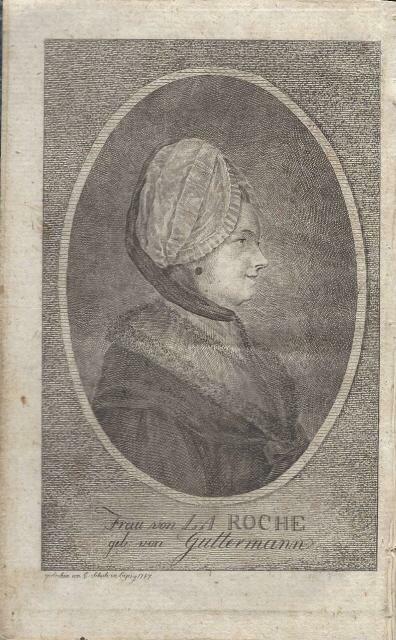 Marie Gouze, dite Olympe de Gouges né à Montauban en 1755 et guillotinée à Paris en 1793, est célèbre avant tout pour avoir soutenu l'émancipation des femmes. Lors de la Révolution elle se découvrit une vocation politique. Elle propose dans cette brochure un impôt volontaire pour assainir les ?nances publiques. "Rebutée par la méchanceté des hommes, ne cherchant qu'à finir mes jours dans une profonde solitude, prête à renoncer à la littérature, délices des imaginations riches & fécondes, tout ce qui sort de mon faible génie doit être considéré comme un fruit que la nature a cultivé & que la main des hommes n'a jamais embelli. Ce fruit je ne le vens pas ...." Admiratrice de Mirabeau, elle se proposa pour défendre Louis XVI et s'opposa à Robespierre qui la fit guillotiner. Premier feuillet poussiéreux, avec une tache d'encre, mais bon exemplaire, tel que paru. *-------*. In-8. Collation : 31 pp. Cousu sur brochure. London: G. Nicol, 1788. 6/25/16. xxvii, 378 pp. Folding chart, b/w plates. Â“This was one of the most popular of all shipwreck narratives, partly because of the happy ending, of the adventure and partly because of the detailed descriptions of the Pelew IslandsÂ’ natural features and society... Wilson exercised excellent control over his men, dealt smoothly with the natives... The crew set to work to build a schooner from native lumber, while some of their members fought for their hosts in native wars...Â”Â— Huntress 107C. When they returned to England they took one of the Pelew Islanders, Prince Lee Boo, with them. He was a celebrity but unfortunately died of smallpox. 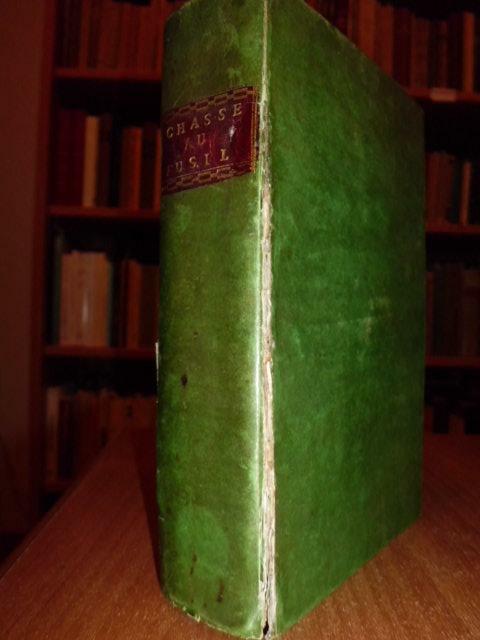 This is a first edition, bound in full mottled calf. Short worm track on front board. Backstrip dried and showing some wear. Front hinge cracked but holding. Madrid: Ibarra, 1788. Quarto, with an engraved portrait of Magellan as frontispiece, four fine large folding maps and four folding tables; contemporary sprinkled calf, sides bordered in gilt. First edition of the first comprehensive study and the best early description of Patagonia and the Strait of Magellan, then as now an area of strategic and navigational significance. Vargas y Ponce's book gives the official account of the expedition by Antonio de Córdoba on the frigate Santa Maria de la Cabeza, sailing from Cádiz in 1785 with the specific aim of exploring parts of Patagonia and Tierra del Fuego, and of determining whether it was preferable to enter the Pacific by way of the Strait of Magellan or by way of Cape Horn. The large folding maps, fine and detailed, are based on observations made during the voyage.Córdoba's exploration of the Strait of Magellan is accompanied here by Vargas y Ponce's summary of the early explorations of the area, mainly from an examination of original manuscripts in the Spanish archives. He discusses various means of navigating the Strait, with detailed sailing instructions, and describes the climate, indigenous peoples and natural history of the region.An Appendix published five years later, and sometimes found bound with the main work, gave an account of a subsequent voyage to the area by Córdoba. A handsome copy. 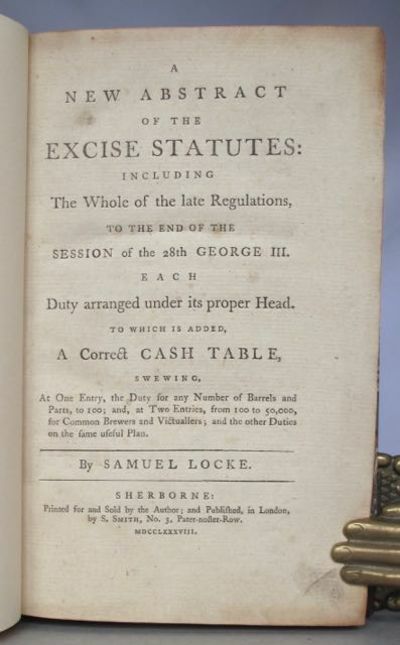 A new abstract of the Excise Statutes: including the whole of the late regulations, to the end of the Session of the 28th George III. Each duty arranged under its proper head. To which is added, a correct cash table, swewing(sic) at one entry, the duty for any number of barrels and ports, to 100; and, at two entries, from 100 to 50,000, for common brewers and victuallers; and the other duties on the same useful plan. Sherborne: printed for and sold by the author; and published, in London, by S Smith. 1788. 8vo, viii + (9)-236 + 35pp, contemporary sheep, recently rebound in old-style half calf gilt. A very good copy. First and only edition: rare. Only the BL copy in ESTC. COPAC adds Bodleian + Inst. of Advanced Legal Studies. OCLC adds no more. Not in Kress, Goldsmiths, Masui or Einaudi. The author was an Excise Officer at Sherborne in Dorset. Although he points out that it had been some 18 years since an index to the Excise Laws had been published, it is evident that the project was not a success. Referring to 'the splendid success' of Jellinger Symon's earlier book, Locke declares himself to be financially embarrassed that he could raise only a small number of subscribers to support his own effort. London [Actually Gottingen / Goettingen]: [J. C. Dieterich], 1788. 2nd Edition. Hardcover. Near Fine. Eleven Plates. 1st Printing 176 Pp (Including Half Title), 11 Plates. Text In German Fraktur. 28 Line Text On P. 165. Quarter Brown Calf With Calf Tips, Marbled Paper Covered Boards, Text Block 1.9 Cm Tall. Probably Rebound In Nineteenth Century. Covers And Contents Very Clean, Light Wear To Calf (No Fraying), Pages Square And Unworn, Light And Generally Even Foxing Within The Text Block, Some Light Foxing To Edges Around The Text. Small Personal Bookplate. No Tears Or Chips, Strong Impressions Of All Plates. Philo's endliche Erklärung und Antwort, auf verschiedene Anforderungen und Fragen, die an ihn ergangen, seine Verbindung mit dem Orden der Illuminaten betreffend. Erstausg. Chambre de commerce de Normandie. Réfutation des principes & assertions contenus dans une Lettre qui a pour titre : Lettre à la Chambre du Commerce de Normandie, sur le Mémoire qu'elle a publié relativement au Traité de Commerce avec l'Angleterre, par M. D P. Par la Chambre du Commerce de Normandie. An Essay on Diseases Incidental to Europeans in Hot Climates with the Method of Preventing Their Fatal Consequences. London: Printed for, and under the Direction of, John Bell, 1788. Frist Bell Edition. Small 8vo. Copper-plate engravings, with tissue guards. Contemporary tree calf boards; rebound with new gilt decorated leather spines, red and black labels, gilt dentelles; marbled page edges. This is the 1st edition of John Bell's collected plays of Shakespeare. The first 2 volumes are 'Prolegomena' containing prefaces to all the previous editions of Shakespeare's plays. 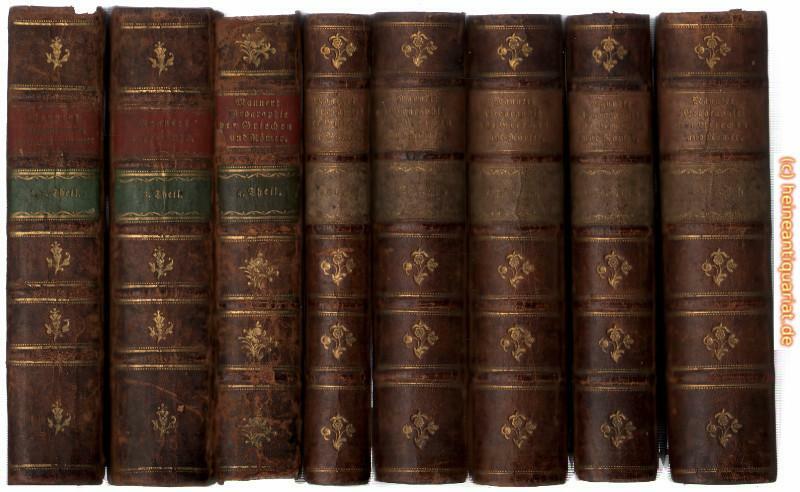 The remaining 18 volumes contain 2 plays per volume; each of the volumes has a half title; title page to the collection dated 1788; and title page to the play (dated 1785 or 1786 - this being the year that Bell published the individual play). London: printed for B. White and Son, at HoraceÂ’s Head Fleet-Street; and J. Sewell, Cornhill, 1788. First Edition. Full Calf. Near Fine+. First edition. 8vo: iv,183,pp (p.142 mispaginated 147), with folding copper-engraved frontispiece of a view of the island Bananas and large folding map of part of the coast of Africa, from Cape St. Ann to the River Rionoonas. Contemporary tree-calf boards with braided gilt frame, neatly rebacked with original spine laid down, spine in six compartments stamped with gilt emblems in three, raised bands flanked by gilt rules, original red morocco lettering piece gilt. 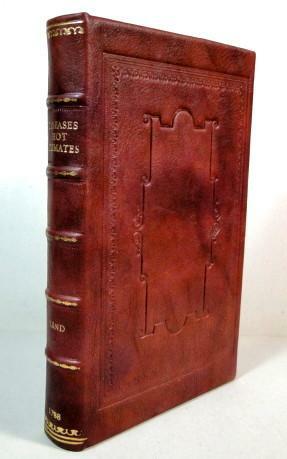 A superb copy, with virtually spotless pages within a handsome binding. Hogg 161. Cox I, p. 387. Gay 2852. Sabin 46888. Goldsmiths'-Kress no. 13533 A good account of the country and its people conveyed in a series of letters written by a naval lieutenant during a residence in Sierra Leone, in the years 1785, 1786, and 1787. The final letter, added after Matthews's return to Liverpool, defends the slave trade. N. B. With few exceptions (always identified), we only stock books in exceptional condition. All orders are packaged with care and posted promptly. Satisfaction guaranteed. DELISLE, Guillaume, & Philippe BUACHE. L'ALLEMAGNE, dresse sur les Observations de Tycho Brahe, de Kepler, de Snellius. Paris. 1788 - Copperplate engraving with later hand colour. Size: 64 x 49 cm. Very good condition, some watermarks on margins, short closed tear at lower centrefold.some sporadic spotting and light browning on margins. Attractive ornamental cartouche, Two secondary cartouches, one containing nine scales, the other is an ' Avertissement' explaining the depiction of the German provinces and enclaves. The map not only shows Germany, but also the Low Countries, Switzerland, Austria parts of Poland and Hungary. The plates were originally made by De l'Isle around 1700. Covens and Mortimer reissued them. Phillipe Buache was de l'Isle's successor, and son in law, he continued to reissue de l'Isle's maps in the later eighteenth century. London printed for B. White and Son, at Horace's Head Fleet-Street; and J. Sewell, Cornhill 1788 First edition. 8vo: iv,183,pp (p.142 mispaginated 147), with folding copper-engraved frontispiece of a view of the island Bananas and large folding map of part of the coast of Africa, from Cape St. Ann to the River Rionoonas. Contemporary tree-calf boards with braided gilt frame, neatly rebacked with original spine laid down, spine in six compartments stamped with gilt emblems in three, raised bands flanked by gilt rules, original red morocco lettering piece gilt. A superb copy, with virtually spotless pages within a handsome binding. Hogg 161. Cox I, p. 387. Gay 2852. Sabin 46888. Goldsmiths'-Kress no. 13533 Near Fine+¶A good account of the country and its people conveyed in a series of letters written by a naval lieutenant during a residence in Sierra Leone, in the years 1785, 1786, and 1787. The final letter, added after Matthews's return to Liverpool, defends the slave trade. N. B. With few exceptions (always identified), we only stock books in exceptional condition. All orders are packaged with care and posted promptly. Satisfaction guaranteed. 1788. KEATE, George. 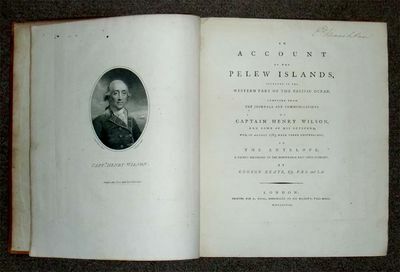 An Account of the Pelew Islands, Situated in the Western Part of the Pacific Ocean, Composed from the Journals and Communications of Captain Henry Wilson, and Some of His Officers, Who, in August 1783, Were There Shipwrecked, in The Antelope, a Packet Belonging to the Honourable East India Company. The Second Edition. London: Printed for Captain Wilson, 1788. Quarto, original three-quarter calf, original marbled boards, uncut. $1750.Second edition, published in the same year as the first, with 15 full-page engraved plates (several folding), frontispiece portrait and folding map.Â“In August 1783, the Antelope, commanded by Henry Wilson, of the East India CompanyÂ’s Marines, ran on a rock near one of the Pelew Islands, and became a wreck. This group of islands had been sighted by the Spaniards and others, but had never been explored. Captain Wilson and his crew escaped safely to shore. He and his men were well treated by the natives, and in time they managed to build a small vessel from the wreck, in which they were able to reach Macao, taking with themÂ… one of the kingÂ’s sons. Wilson brought him to England where he was lionized and created a very good impression; he, however, unfortunately died of small-poxÂ” (Cox II, 302-3). With superb copper-plates of inhabitants, views, tools, etc. Signatures and bookplate on front endpapers of members of the Chamberlain family, including that of Joseph Chamberlain dated 1789. Occasional light pencil marginalia.Several leaves with early repairs to closed tears and restoration to margins, repair covers text on pages 121-124. Some light scattered foxing or offsetting from plates. A handsome, wide-margined, uncut, large-paper copy in original boards. Céspedes y Meneses, Gonzalo de. Poema tragico del español Gerardo, y desengaño del amor lascivo. Primera, y segunda parte. Don Pedro Marin, 1788. A popular, oft-translated and much reprinted picaresque novel, from the pen of a Spanish Golden Age novelist and historian. It tells the story of the protagonist's desperate love for four women!John Fletcher used the work as source material for both The Spanish Curate and The Maid in the Mill. This is a revised edition, following the first of 1615; it is not widely held in U.S. institutions. 1788. A Paris chez Leroy 1788. Petit In-8 relié plein veau blond, dos lisse très orné de filets et fleurons dorés, guirlande dorée d'encadrement sur les plats et sur les coupes, gardes de papier marbré. XIV + 160 pages. Orné de cinq très belles et délicates planches représentant le jardin anglais du Chateau de PRUNAY près MARLY. Ex-libris au tampon Martin Saint Jean. Le chateau de Prunay appartenait à Lord SEYMOUR, il fût détruit à la fin du XIX° siècle, ses jardins anglais étaient renommés et très raffinés. Bien qu'intitulé poême, cet ouvrage est écrit en prose. Titre des 4 parties : Des promenades, des plantations, de la manière de ménager un terrain. Des formes que l'on doit donner aux barrières. Des plantations et des eaux. Des bâtiments et des décorations du jardin. Il fourmille de renseignements et notes sur l'art des jardins. Petit manque à la coiffe. Bel exemplaire. Rare. Berlin-Amsterdam : Hummel, PN 637,  - 19 S. Gr. 4to. Gestochen. Rücken mit breitem Papierstreifen verstärkt. RISM H/HH 4386. Seltener und früher Nachdruck. 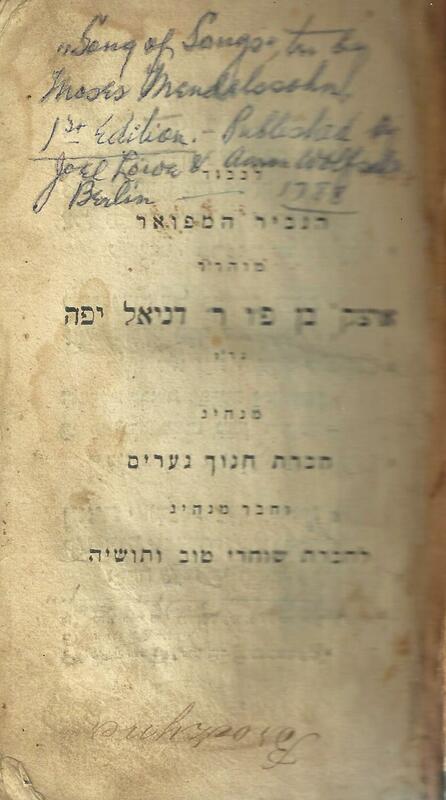 HAMESH MEGILOT: IM TARGUM ASHKENAZI U-VEUR: SHIR HA-SHIRIM. MEGILLAT EICHA. MEGILLAT ESTHER. Dublin: printed for the author: by James Mehain. 1788. 8vo., engraved portrait frontispiece, iv + (4) + (9) - 264pp., contemporary calf, spine simply gilt and labelled, upper joint worn but still sound. A very good copy. First edition and very rare outside the usual Irish libraries with copies elsewhere only at BL + Cambridge + Bodleian + Un. of Illinois + Yale (Beinecke). Not in Bradshaw. 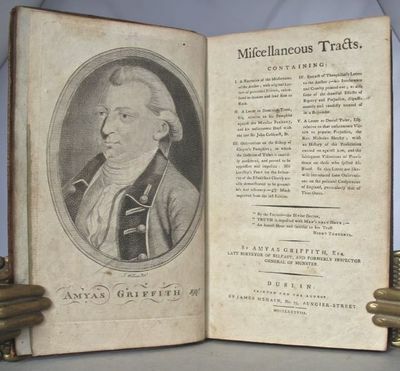 Amyas Griffith (1745 or 6 - 1801), flamboyant poet, playwright and essayist, for a time held the post of Inspector General of Taxes in Munster, from which post he was sacked after opposing the Government at the Carrickfergus elections in 1785, and also the rather more junior post of Surveyor of Belfast. Much of his life, however, was devoted to political commentary and satirical publishing in such outlets as the Stephen's Green Review> (1773). In 1785 he claims to have 'sent my private portable printing press to Carrickfergus to publish squibs'. The final ten years of his life, though, were pretty disastrous for him, with at lest two court actions against him and increasing financial embarrassment. ( CARLI, Gian Rinaldo conte, 1720-1795). DELLE ANTICHITÀ ITALICHE PARTE PRIMA (-QUARTA) CON DUE APPENDICI E DOCUMENTI. Carte d'Asie. Dressée pour l'usage du Roi sur ce que les Arabes nous ont laissé de plus exact des Pays Orienteaux, sur les routiers et observations de voyageurs européens notamment sur celles de Pallas. Paris, Dezauche succ. De l'Isle et Buache, 1788. (Parte incisa mm. 480 x 630). Bella carta geografica, in coloritura coeva, proveniente da Atlas géographique des quatre parties du monde par Guillaume De L'Isle et P. Buache. Paris., 1788. Copperplate engraving with later hand colour. Very good condition, some watermarks on margins, short closed tear at lower centrefold.some sporadic spotting and light browning on margins. Size: 64 x 49 cm. Attractive ornamental cartouche, Two secondary cartouches, one containing nine scales, the other is an ' Avertissement' explaining the depiction of the German provinces and enclaves. The map not only shows Germany, but also the Low Countries, Switzerland, Austria parts of Poland and Hungary. The plates were originally made by De l'Isle around 1700. Covens and Mortimer reissued them. Phillipe Buache was de l'Isle's successor, and son in law, he continued to reissue de l'Isle's maps in the later eighteenth century. View of the English Interests in India; and an Account of the Military Operations in the Southern Parts of the Peninsula, During the Campaigns of 1782, 1783, and 1784. In Two Letters Addressed to the Right Honourable the Earl of *********, and to Lord Macartney and the Select Committee of Fort St. George. Second edition. 8vo. xviii, (ii), 323, (1) pp. 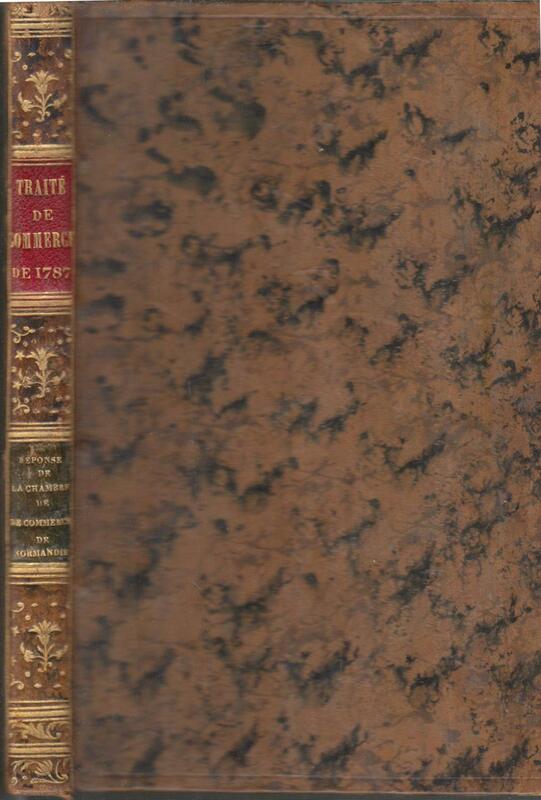 Later quarter brown calf over marbled boards by the French bookbinder Duplanil, spine with raised bands, gilt lettered red label, gilt tooling to the other panels, endpapers and all edges marbled, ownership inscription of Abraham Hyacinthe Anquetil-Duperron to the title page, later book label of a "M. de la Tour du Pin" to the front pastedown. Folding plan of "Order of Battle" showing the arrangement of British troops commanded by Fullarton plus a folding map of southern India by William Faden with the routes of armies led by Colonels Fullarton and Humberston in the years 1782-4 coloured in outline. Subtle tissue repair to a small tear without loss to the title page, an attractive copy.A contemporary account of the British campaign during the Second Anglo-Mysore War against Tipu Sultan by one of the leading soldiers in the army. This copy bears the signature of the fêted Orientalist Abraham Hyacinthe Anquetil-Duperron (1730-1805). After starting his academic career as a classical scholar, he subsequently distinguished himself in the study of Asiatic languages, initially acquiring Arabic before arriving in India in 1755 to broaden his grasp of other south Asian languages. His pioneering work led to the first European translations of the Zoroastrian text the Avesta, into French, and the Hindu text the Upanisads, into Latin. Tableau méthodique des minéraux suivant leurs différentes natures, et avec des caractères distinctifs, apparens ou faciles à reconnoître. à Paris, chez Pierres, Didot le Jeune, & Née de la Rochelle, Dessenne, 1788, pet. in 8°, de 36 tableaux imprimés au recto, cart. papier marbré orangé, titre au dos, intéressantes notes manuscrites de l'époque au verso du dernier feuillet au sujet des résidus bitumeux: Naphte, asphalte, vitrole noire, poix minérale... etc. Bon exemplaire. (Lobstein-Laurenchet). Seconde édition rare de ce tableau publié en 36 feuillets imprimés d'un seul côté car destinés à être réunis en un seul grand tableau. Il regroupe sous forme de tableau l'exposé des leçons de Daubenton au Collège royal depuis 1779. Daubenton était en effet professeur d'histoire naturelle au Collège de France et professeur de minéralogie au Muséum. "The first edition of his Tableau méthodique des minéraux appeared in 1784. While they display no great originality, Daubenton's teaching and writings on mineralogy contributed significantly to the spreading of current knowledge of the subject. 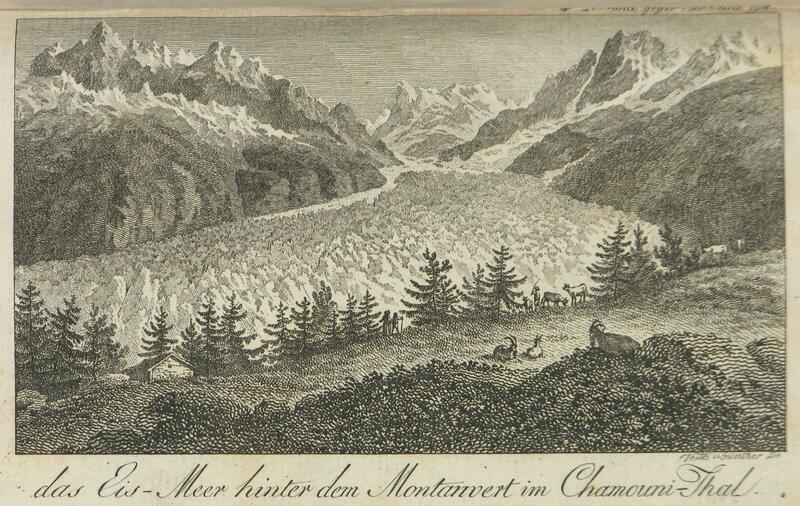 It was, moreover, under Daubenton's patronage that Haüy began his career." DSB XV, p.113 - Duveen p. 158 (édit. 1784) "a rare work, the pages of which, being printed on one side only, were presumably intended to be stuck on boards and made up into large tables" - Poggendorf, I, col. 515 (8e édit. 1800 ) - Cole 337 (5e édit. An IV). Rome. c1788 - Copper engraving. Later colouring. Size: 46 x 33 cm. (18 x 13 inches). 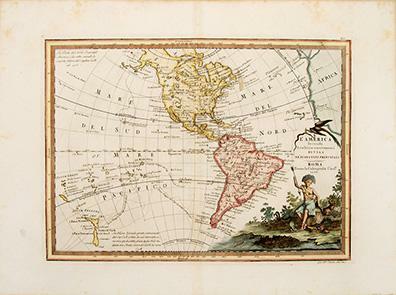 In fine condition.Mounted size 69.5 x 57cm An attractive map of the Americas including most of the Pacific Ocean, showing an early depiction of the whole of New Zealand and the routes of Captain Cooke's three voyages. A splendid, large decorative cartouche is seen depicting a female indian holding an arrow surrounded by various wild animals. 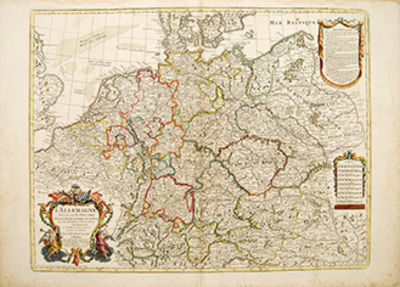 Geographie der Griechen und Römer aus ihren Schriften dargestellt von M. Konrad Mannert Lehrer an der Schule zu St. Sebald in Nürnberg [ord. Professor der Geschichte in Altdorf]. Mit zwey [mehrfach gefalteten] Kärtchen. Nürnberg Grattenauer 1788 - [Erster Theil]. Zweyter Theil, erstes Heft. Das transalpinische Gallien. 1789. + Germania, Rhaetia, Noricum, Pannonia, 1792. Dritter Theil. Mit zwey [mehrfach gefalteten, davon eine koloriert] Karten. + Der Norden der Erde von der Weichsel bis nach China, 1795. Vierter Theil. Mit zwey [mehrfach gefalteten] Karten. + Fünfter Theil. Indien und die Persische Monarchie bis zum Euphrat, 1797, 1 mehrfach gefaltete Karte. + Fünfter Theil. Zweytes Heft. Die Persische Monarchie bis zum Euphrat, 1797, 1 mehrfach gefaltete Karte. + Sechster Theil. Erstes Heft. Arabien, Palästina, Phönicien, Syrien, Cypern, 1799, 1 mehrfach gefaltete Karte. + Sechster Theil. Zweites Heft. Kleinasien. Mit 2 [mehrfach gefalteten, davon eine koloriert] Karten. + Sechster Theil. Drittes Heft. 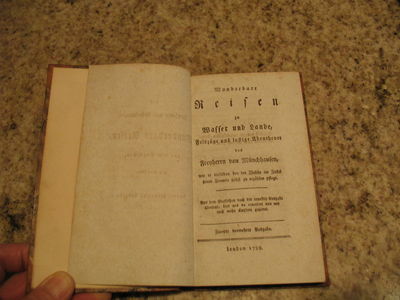 Kleinasien, 1802. 6 in 8 Teilen (von insgesamt 10 in 14) Bänden. Es fehlen: Teil 7 "Thracien, Illyrien, Macedonien, Thessalien, Epirus", Teil 8 "Geographie des nördlichen Griechenlandes, des Peloponneses und der Inseln des Archipelagus", Teil 9 "Geographie von Italia nebst den Inseln Sicilia, Sardinia, Corsica" und Teil 10 "Geographie von Afrika", die bis auf den letzten Teil derzeit alle bei einem Kollegen (Carl Wegner) im Netz angeboten werden. Nicht einheitlich gebundene Halblederbände der Zeit über fünf Bünden, die ersten drei und die letzten fünf Bände gleich gebunden, jedoch alle mit passender floraler Rückenvergoldung und je zwei verschiedenfarbigen, goldgeprägten Rückenschildern, Lederecken und marmorierten Deckelbezügen. Allseitiger Rotschnitt. (20,4 x 13,2 cm) 8°. - " . Konrad Mannert: ich danke dir, ich verdanke dir viele Kenntnisse ." Arno Schmid in "Brand's Haide" - Die Einbände mit Alters- und Gebrauchsspuren, berieben, an den oberen Kapitalen etwas bestoßen, dort stellenweise mit Fehlstellen im Leder. Die Innendeckel und fliegenden Vor- bzw. Nachsätze mit Bräunungen durch klebebedingten Lederabklatsch. 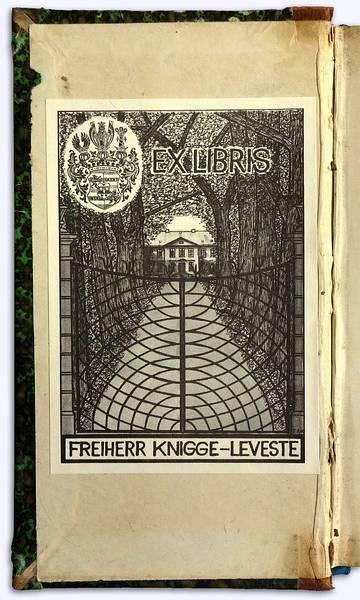 Auf allen Vorderdeckeln das Exlibris von Vicco von Bülow-Schwante. Die vollständige Reihe der ersten 6 Teile (in 8 Bänden) in der bei Grattenauer erschienenen Erstausgabe. Mit insgesamt zehn gestochenen Karten, davon zwei in schönem zeitgenössischem Kolorit. * Bitte fordern Sie bei Interesse unsere umfangreichen Anmerkungen an. * * Versand mit/ shipping with Deutsche Post oder/ or DHL. - Ask for more pics ! * 10001 gr. Lisbon: Regia Officina Typographica, 1788. 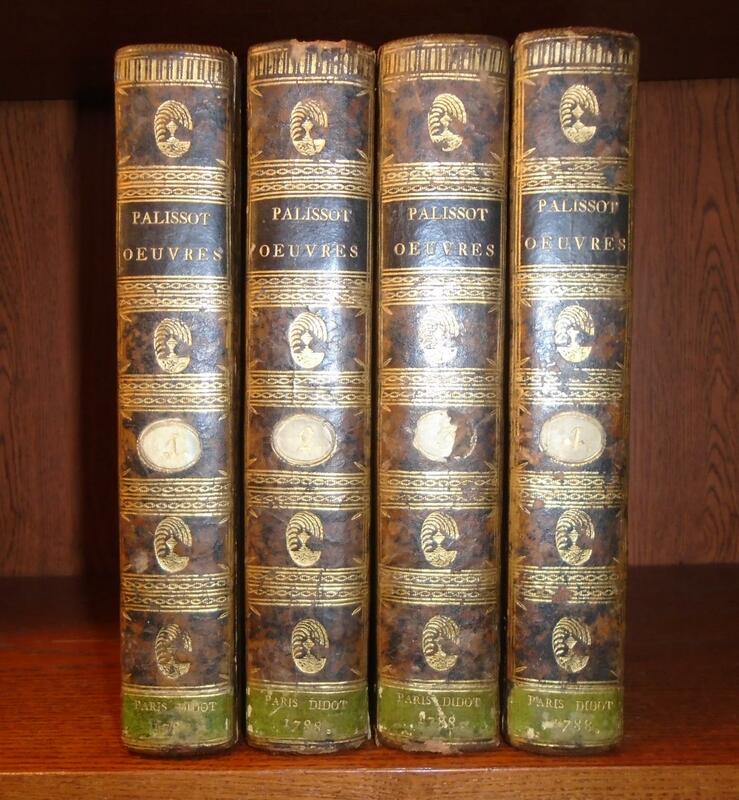 24 volumes, duodecimo, with four portraits and five folding maps; contemporary blonde speckled calf. This extensive set is a fundamental travel book, and the basis for any history of Portuguese exploration. This is the first collected edition of the "Decades" of João de Barros and Diogo de Couto, chronicling the first Portuguese discoveries in Asia, as well as Africa and Brazil. Its twenty-four volumes contain an extraordinary wealth of detail regarding the Portuguese in the East Indies and elsewhere in the New World. An idea of its significance may be gained simply by glancing at the many indexes to the various volumes of Donald Lach's majestic Asia in the Making of Europe, all of which contain multiple extensive references to Barros's work.The Portuguese historian and civil servant Barros had equipped an expedition to the Amazon, but its failure brought him to the verge of poverty. His mercantile ambitions destroyed, Barros retreated into the sanctuary of historical studies. Written at the instigation of the king, Barros first published Décadas da Asia in the middle of the sixteenth century, and it is still regarded as one of the supreme accounts of European exploration and colonisation, and famously includes work on Magellan and his discoveries in the Americas. The first volume, Asia de Ioam de Barros, was published in 1552, and the subsequent volumes of his work in 1555, 1563 and 1615. The authenticity of the fourth, published much later, has been questioned. Its vigour and scope are such that it is one of the founding works of Portuguese literature. It was continued by Diogo de Couto, royal historiographer to Phillip II, whose work is generally more critical. Couto not only furthers Barros's original discussion, but also expands on the arguments for the decline of Portuguese influence in the east.The first eight volumes of this set consist of the four original Décadas; volume nine is a life of Barros by Manoel Severin de Faria together with an index; the remaining fourteen volumes comprise all of Couto's ensuing books, the last volume an index. A fine crisp set. If the words of Christ are true, the slaves will at length be free."" ESTC T150025. Sabin 104732. Howes W554. Faint inkstamp, ""Bound N.Y.H.S. May 10 1943,"" with deaccession inkstamp ""Withdrawn N-YHS. ""Text fresh with only light scattered foxing. A rare about-fine copy. Oxford, Printed at The Clarendon Press: W. Jackson and A. Hamilton, Printers to the University, 1788. Small 12mo. 13 x 7cm. Unpaginated. 4 page Table of Feasts written in neat hand from 1805-1818 inclusive. The Order for Morning Prayer in 6 pages, written in out in neat hand. Section at end also written out in neat hand with a hand done title page, 'A Collection of Hymns and Anthems, as used in St. Andrews Chapel Aberdeen, and other Chapels of the Episcopal Church of Scotland' - Brechin, 1832. Three lines are crossed out in black ink, the contents and text is very clean otherwise. The margins have been closely trimmed, not affecting the text. 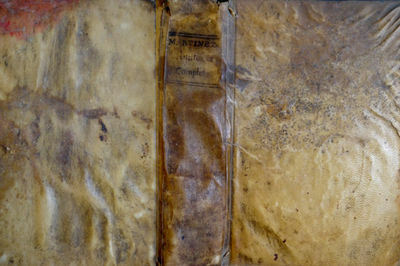 The binding has been expertly repaired with cloth hinge inserts, very neatly, can be seen in the images. Bookplate of Charles Will, Brechin. Marbled endpapers. All edges gilt. Gilt lettering to the spine. Binding very characteristic of the gothic style of St. Andrews Cathedral, Aberdeen. 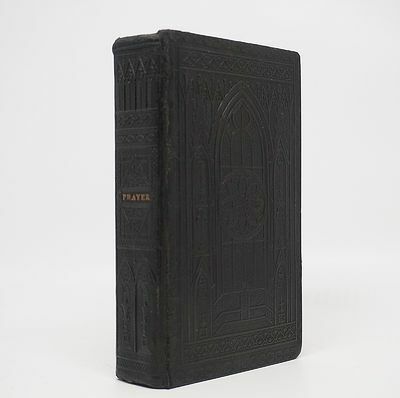 A handsome little prayer book. . Hardcover. Very Good. 12mo. Paris: Veuve Desaint, 1788. First edition of "perhaps the most beautiful mathematical treatise in existence. It contains the discovery of the general equations of motion, the first epochal contribution to theoretical dynamics after Newton's Principia" (Evans). "Lagrange's masterpiece, the Méchanique Analitique (Paris, 1788), laid the foundations of modern mechanics, and occupies a place in the history of the subject second only to that of Newton's Principia." ?Grolier/Horblit 61; Evans 10; Dibner 112; Sparrow 120; Norman 1257. "With the appearance of the Mecanique Analytique in 1788, Lagrange proposed to reduce the theory of mechanics and the art of solving problems in that field to general formulas, the mere development of which would yield all the equations necessary for the solution of every problem ... [it] united and presented from a single point of view the various principles of mechanics, demonstrated their connection and mutual dependence, and made it possible to judge their validity and scope." (DSB). "In the preface of the book La Grange proudly points to the complete absence of diagrams, so lucid is his presentation. He regarded mechanics (statics and dynamics) as a geometry of four dimensions and in this book set down the principle of virtual velocities as applied to mechanics." (Dibner). 4to (250 x 195 mm), pp [i-v] vi-xii, [1-] 2-512, contemporary half calf, small chip to the upper capital, light wear to corner, otherwise fine and unrestored, internally a fresh and clean throughout. Réflexions sur la formation et la distribution des richesses. [Paris? ]: [publisher unknown], 1788. 1st Edition. Soft cover. 8vo - over 7¾ - 9¾" tall. 8vo (220 x 133 mm). 6-136 pp. Uncut in contemporary paper wrappers. Leaves carefully cleaned, some minor remaining spotting and marginal finger soiling, a few leaves with paper repairs of tears to blank fore-margin, pp. 39/40 with repaired tear to upper corner just touching page numbers. Still a very good, unmarked and untrimmed copy. ----Einaudi 5772; En francais dans le texte 165 (citing the work's publication in the Ephemerides); Goldsmiths' 13536; Kress B.1506. RARE FIRST EDITION IN BOOK FORM. Turgot's principal work, first published in 1769-70 in the Ephemerides du citoyen, was addressed to two young Chinamen who, "having been brought to France and educated by the Jesuits, were then sent back to Canton with a royal annuity and the task of maintaining a correspondence on the state of literature and science in China." (Palgrave III, 592). The work is divided into a hundred sections tracing the existence of commmerce to the unequal distribution of land, the diversity of the soil in fitness for production, the multiplicity of human needs, and the advantages of the division of labour. It was read by and had considerable influence upon Adam Smith, and was one of the most important economic texts to be published before Wealth of Nations. 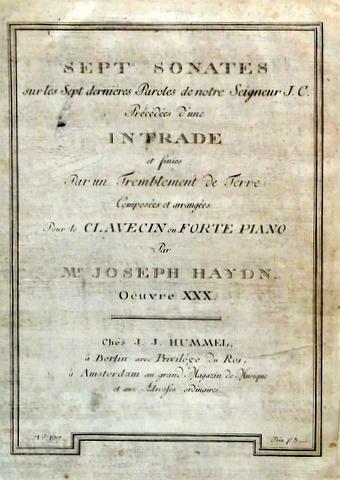 Première édition séparée mis à part le très petit nombre d'exemplaires réservés à l'auteur, extrait des Éphémérides du citoyen (1770). Écrit en nov. 1766, il fut d'abord publié en 1769 dans les tomes XI et XII de ce périodique. Édition définitive. Turgot l'a débarrassée des quelques ajouts par trop physiocratiques du trop bien intentionné Dupont de Nemours, qui figuraient dans les Éphémérides du citoyen. Principal ouvrage de Turgot qualifié ''l'un des plus grands économistes scientifiques de tous les temps'' (Schumpeter). Il aborde en cent chapitres diverses questions relatives à la culture, la production, les capitaux, le commerce, la spéculation, les intérêts, etc. Les Réflexions, d'inspiration apparemment physiocratique, n'en sont pas moins profondément originales. Plus développées, elles eussent constitué, a-t-on dit, le ''grand traité d'économie politique de leur temps.'' On n'est pas loin aujourd'hui de les considérer comme telles, et Schumpeter n'hésite pas à les égaler à la Richesse des Nations d'Adam Smith qu'elles surpassent même à ses yeux quant à la structure théorique. (Jean Viardot, En Français dans le texte). Very Good. Oeuvres Philosophiques, traduites de l'anglois. Nouvelle édition. Caccia-Armi) La chasse ou fusil, ouvrage divisé en deux parties, contenant: La première, des recherches sur les armes de trait usitées pour la chasse avant l' invention des armes à feu; savoir l' arc et l' arbalète. la fabrication des canons de fusil. AnatomÃ­a Completa del Hombre. Con todos los hallazgos, nuevas doctrinas y observaciones raras hasta el tiempo presente, y muchas advertencias necesarias para la Cirugia segun el mÃ©todo con que se explica en nuestro Teatro de Madrid. Madrid, en la Imprenta de Benito Cano, a costa de la Real CompaÃ±Ã­a de Impresores y Libreros del Reyno, 1788. 4to. ; portada, 578 pp. (de 592, faltando las catorce pÃ¡ginas finales) y 24 lÃ¡minas grabadas por Matias de Irala. Refuerzos marginales en la correspondiente al retrato del autor y pÃ©rdida marginal en el lateral inferior izquierdo de la titulada "Amphitheatrum Matritense". EncuadernaciÃ³n de Ã©poca, en pergamino. Ejemplar en conjunto fatigado. Desoer, 1788. in-8, pp. XXII, 23-181, (1 con avviso al rilegatore), legatura posteriore in pergamena. Completo di 14 tavole ripieg. f.t. incise in rame, raffiguranti coppie di schermidori in scenari agresti; alla dedica incisione a mezza pagina con armi di De Graillet, cui l'opera è dedicata. Prima ricercata edizione di questo trattato di armi e scherma, apparso poi nel 1786 e 1800. Buon esemplare. London: C. Taylor, 1785 - 1788. Brown uniform linen with leather labels on spines. Vol. I: engraved title page. viii, 214 pp. + 73 engraved plates. Vol. II: engraved title page. iv, 225 pp. + 69 engraved plates. Vol. III: engraved title page. iv, 188 pp. + 48 engraved plates. Vol. IV: engraved titled page. 132 pp. + 23 engraved plates, eight are handcolored. Prepared by Francis Fitzgerald. Volumes intended as instruction books for art students. The books also include lectures meant to refine the taste of the mature art lover. Vol. I: The lectures include, "Introductory, being an historical sketch of the progress of the arts", "A view of their excellence and utility, with thought upon genius", "of the materials for drawings, and method of using them, with hints upon beauty", "of the human figure, its divisions, and proportions of the head", "of character of the head", "of expression of the head", "of proportions of the figure", and "of character and expression of the figure". Vol. II (perspective): "on the nature of perspective", "elements of the practice", "perspective of shadows", "perspective of the human figure", "historical sketch (of architecture)"; and "general principles (of architecture)". Vol. III: first section is a "compendium of colors and other materials used in the arts of drawing, painting, engraving, etc., in their various branches, with remarks on their natures and uses". Second section, "a dictionary of principles, and terms of art, adopted in the arts of design, in their various branches with explanatory remarks and observations". Vol. IV: miscellaneous reviews, and essays on criticism and individual artists. VG+, mild foxing. one volume (2) has dampstaining that is very light to moderate on most pages due to a recent flooding, but no pages have stuck and the item is still quite usable and appealing. Debure, Gendre De Feu M. d'Houry, 1788. Plein maroquin rouge. Triple filet sur les plats. Dos long décoré d'amphores et du lyres. Pièces de titre. Roulette sur les contreplats. Toutes tranches dorées. Bon exemplaire. Reliure et intérieur en bon état. THE ADVENTURES OF A SILVER PENNY. Including Many Secret Anecdotes of Little Misses and Masters both Good and Naughty. Wood-engraved frontispiece signed 'Bwk', , 126 pages. 12 woodcuts in text. Original Dutch floral boards. One of two variants of this edition with the frontis' either found signed or unsigned by Bewick. 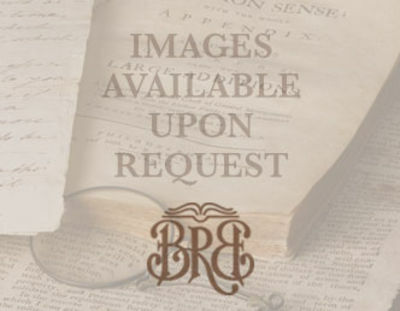 Lacks rear endpaper; re-backed at some time in matching 18th century paper; inscription on front fixed endpaper and the bookplate of Sydney Roscoe;; small corner torn from top outer edge of title; else a very good copy of a rare work contained in a folding cloth, gilt box. Roscoe J3920. Originally Sydney Roscoe's copy with his bookplate and note on rear endpaper, later Margaret Weedon's. 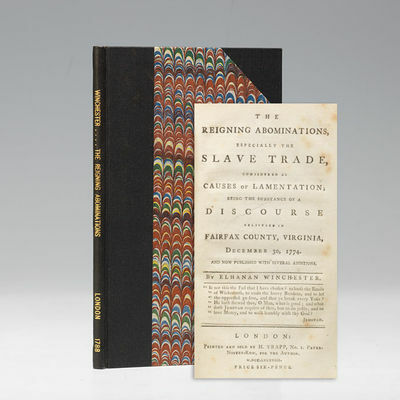 According to Nigel Tattersfield's research, this title was first published as Roscoe suggested, in 1786. However, 'the original woodcuts were undistinguished and it was not long before JB was commissioned to provide a completely new set. It was probably amongst the 'several Jobs for Newbery' that John reported to his brother he had done on his own account by mid-February 1788. It is salutary to compare the cuts however, for John improves the original illustrations out of all recognition.' The British Library has the original edition of 1786. Clearly the above copy is the Bewick edition of circa 1788.